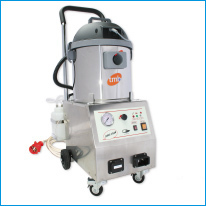 Powerful electrical steamcleaners and steamgenerators, standard from 3 kW till 36 kW with high-grade materials that have been designed for the professional and industrial market. Wigrex has for example a special programme for effective parrafin removal. To steam cleaner generator > The diesel powered steamer with an extreme high steam production and a patented integrated compressed air system. 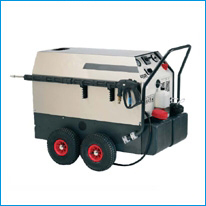 These 62000 Watt steamcleaners match up to high pressure cleaning and are an alternative for dry ice-blasting. 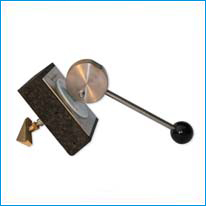 To steamcleaner diesel > The Leakmaster enables a quick and secure sealing of damaged reservoirs. 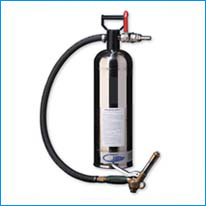 Resistant to almost all fuels, mineral oils and chemicals. To leakmaster > Leakages rapidly cause considerable damage to a company and the environment. Wigrex´s products are flexible, quick, and easy to apply. In only a few seconds they prevent further leakage from damaged reservoirs.